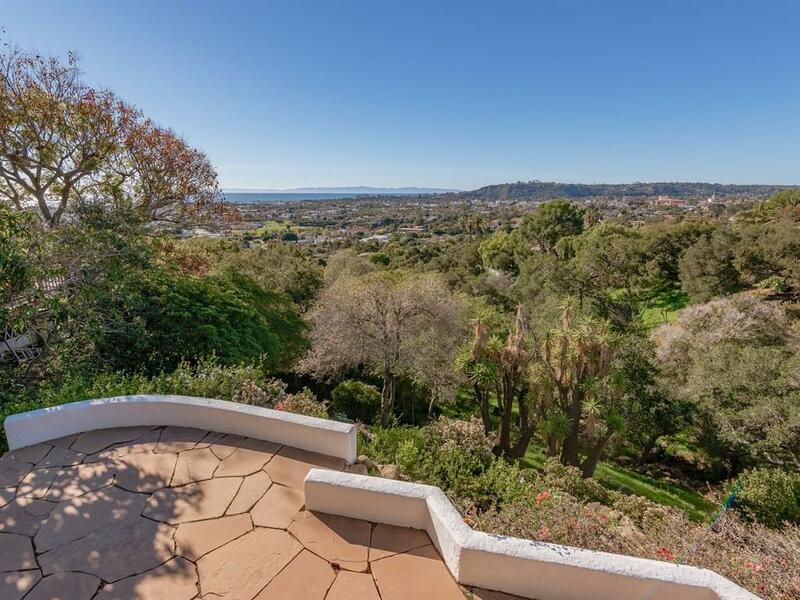 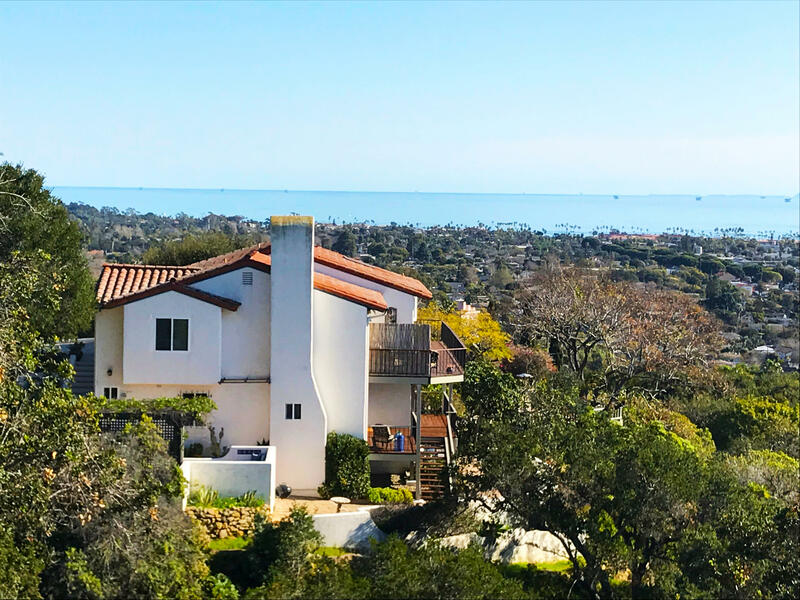 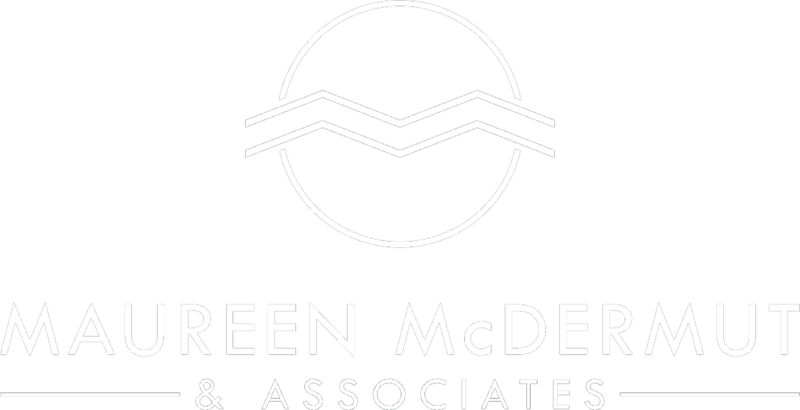 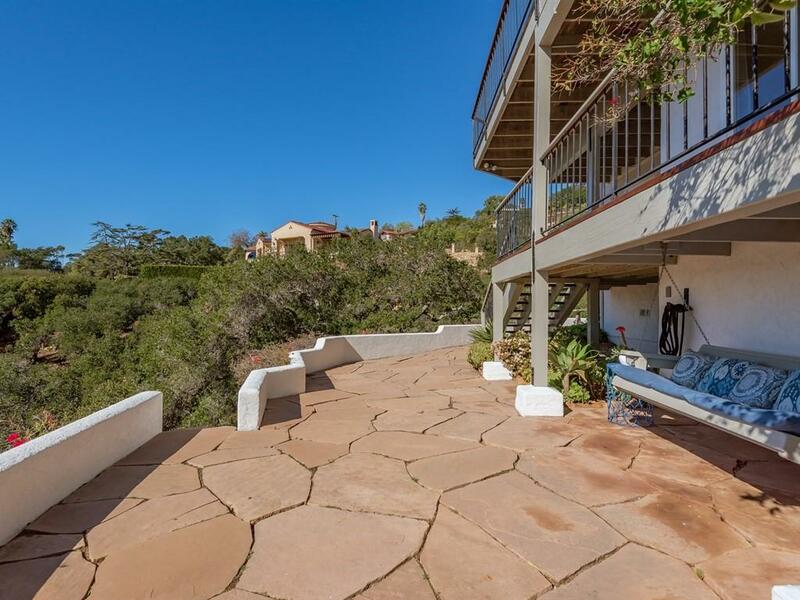 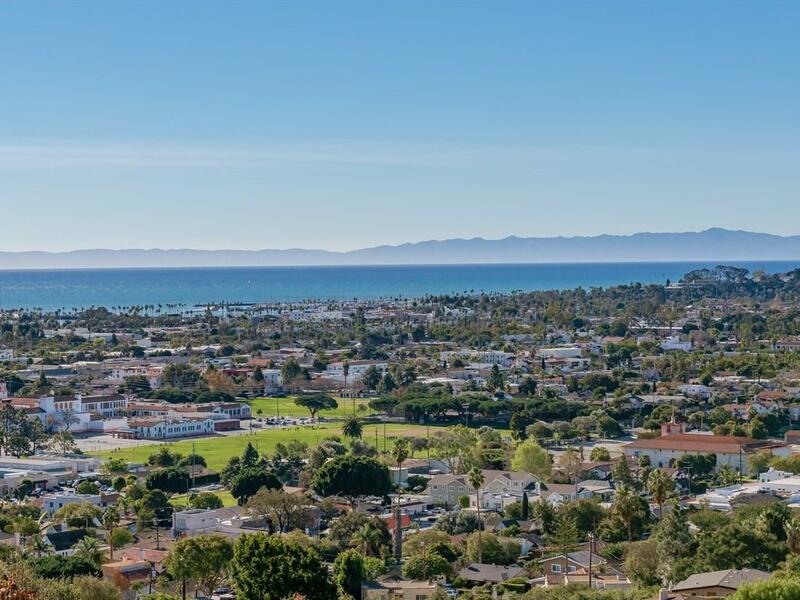 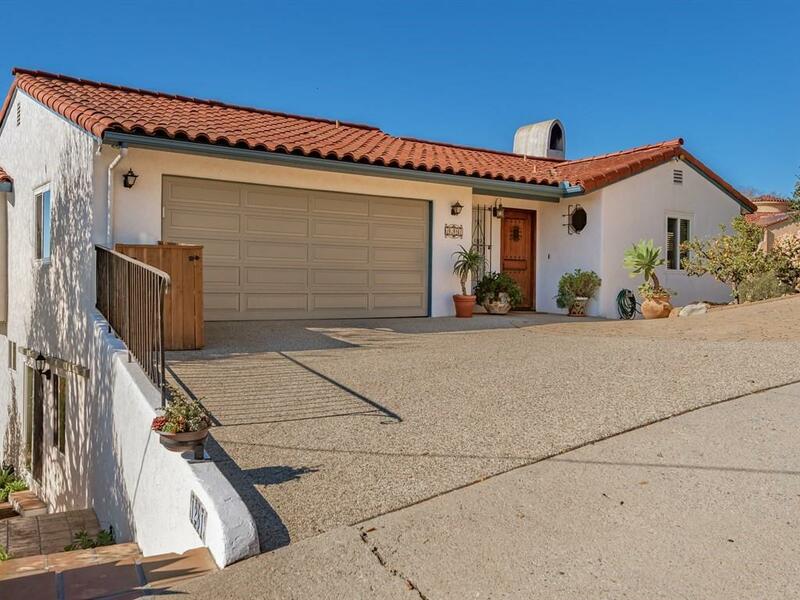 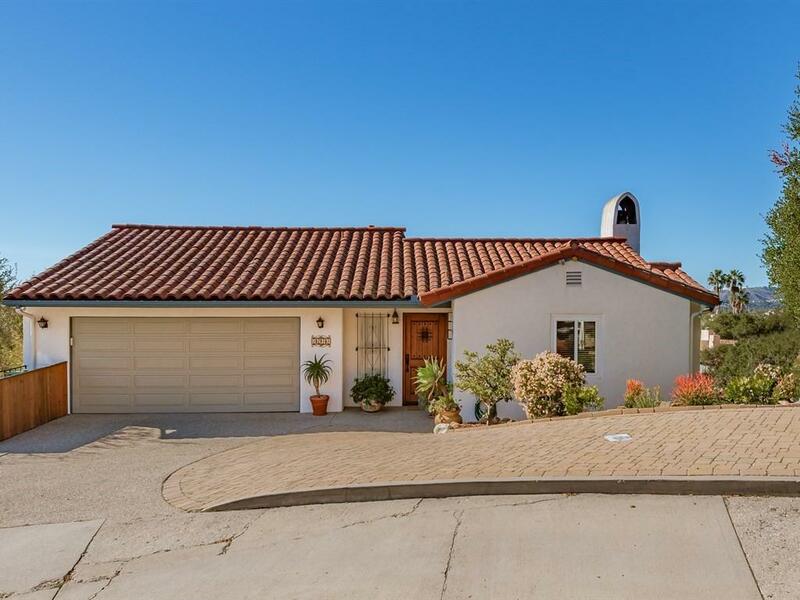 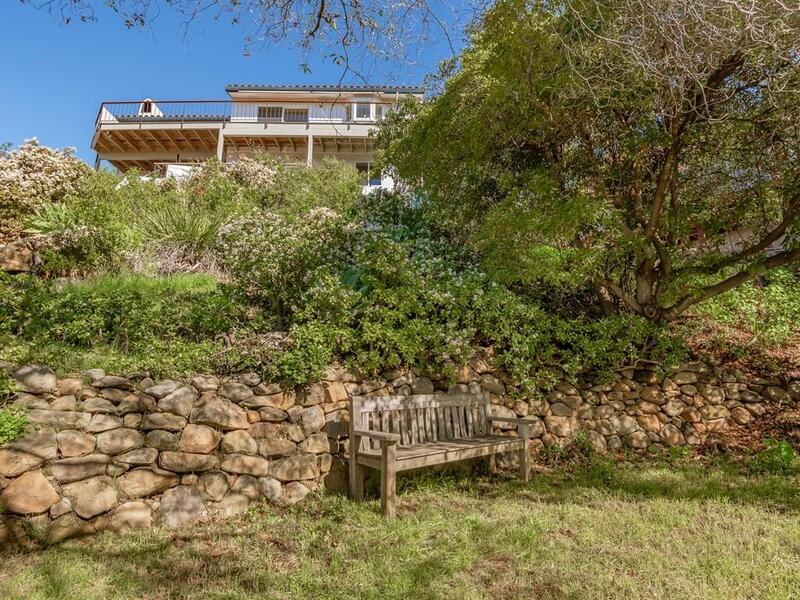 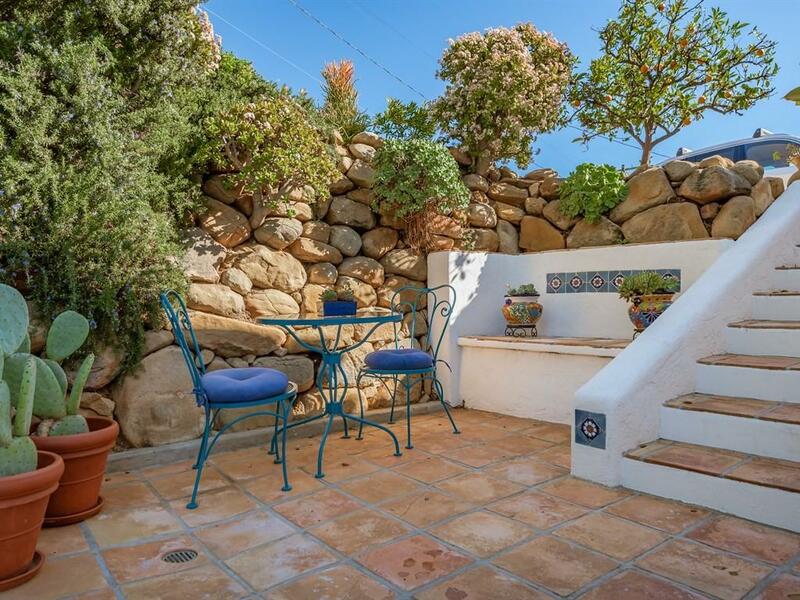 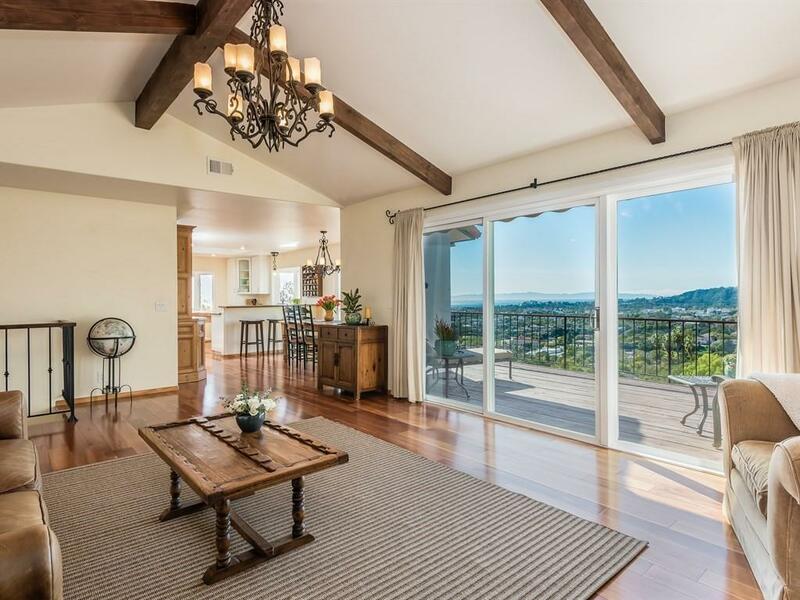 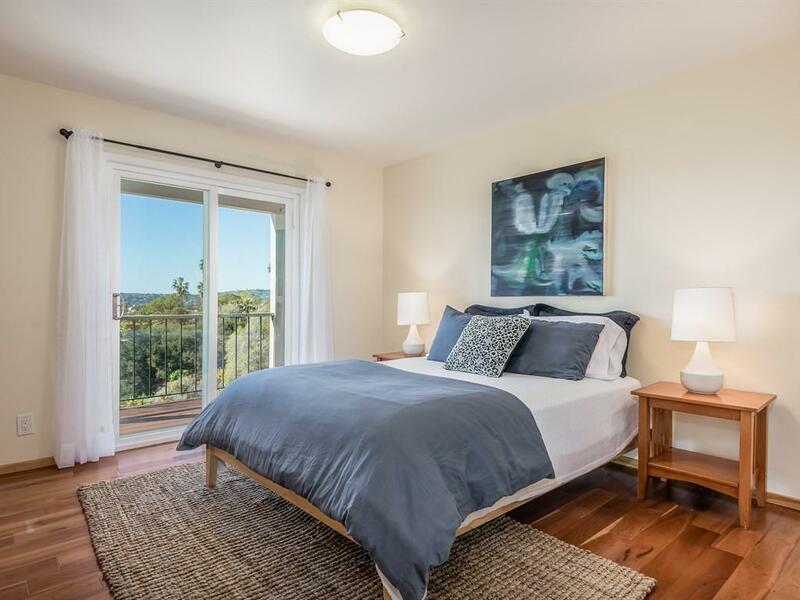 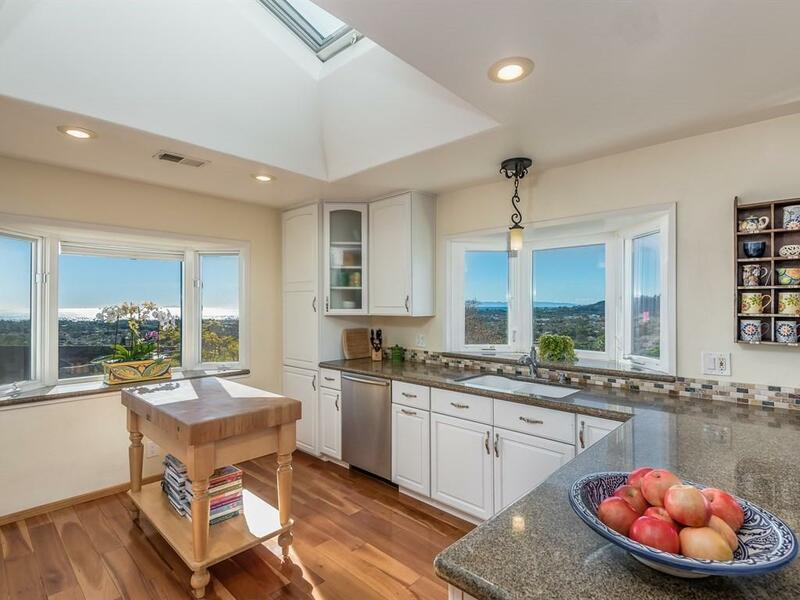 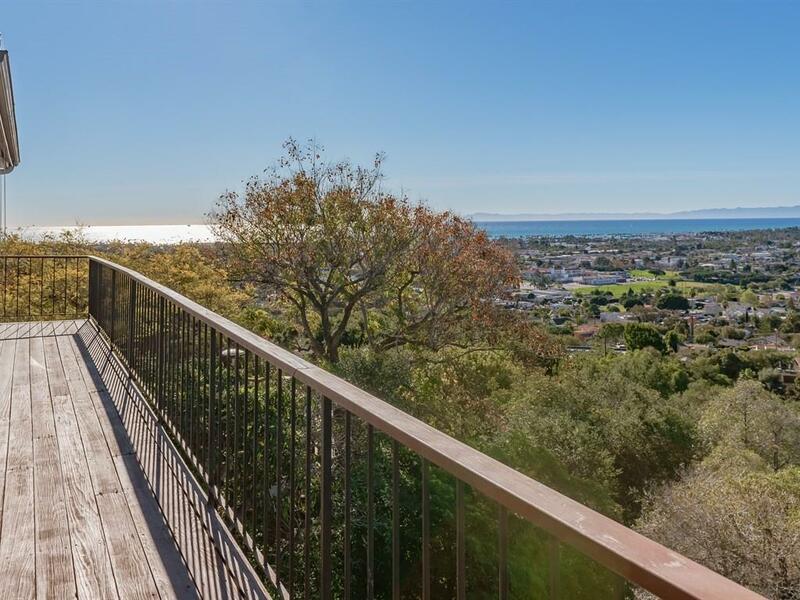 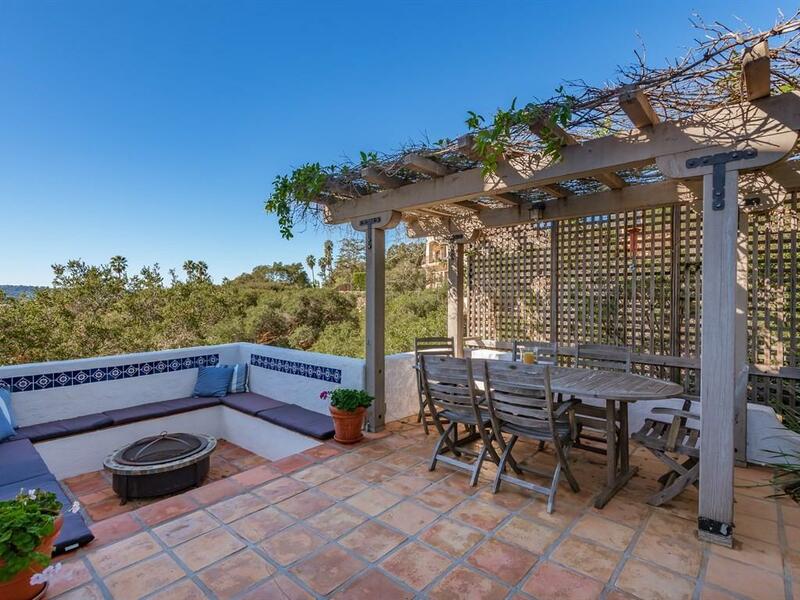 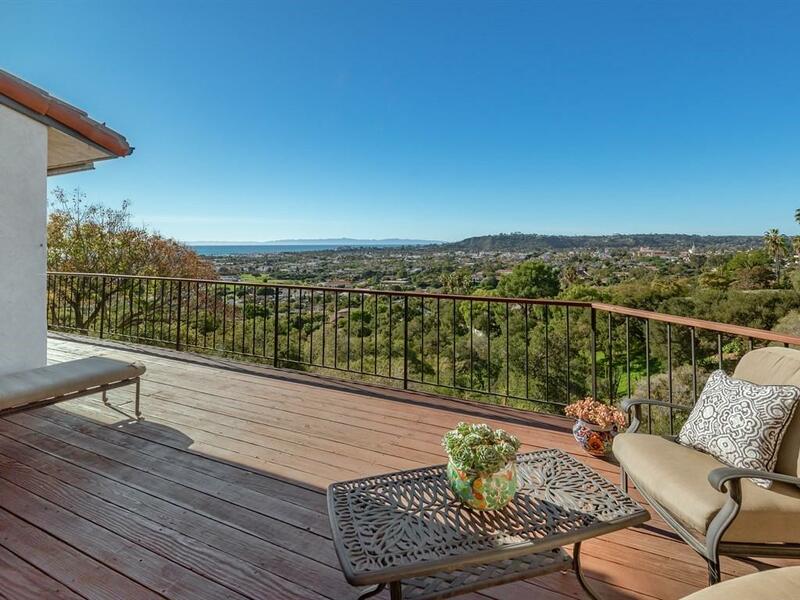 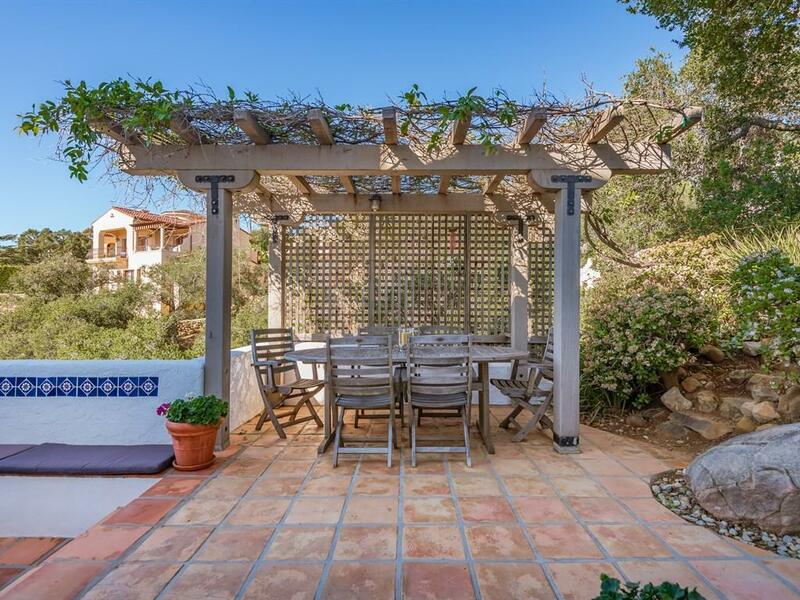 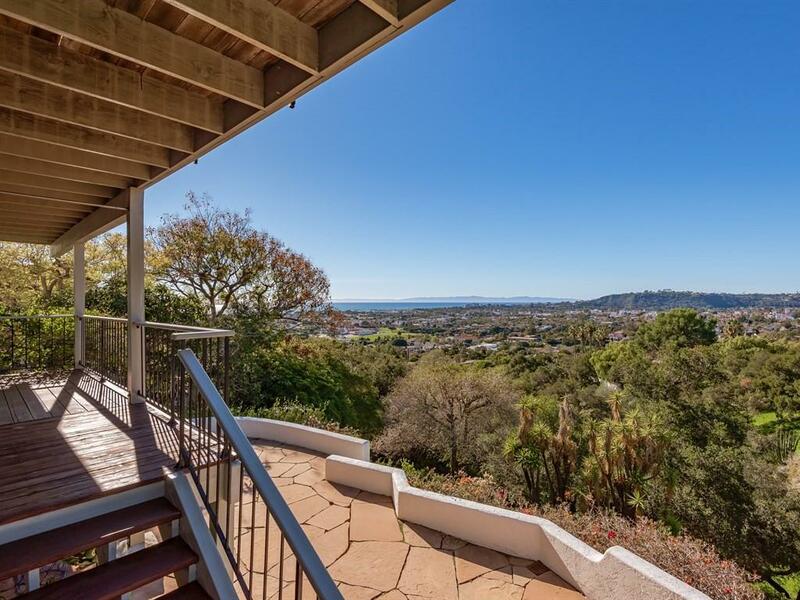 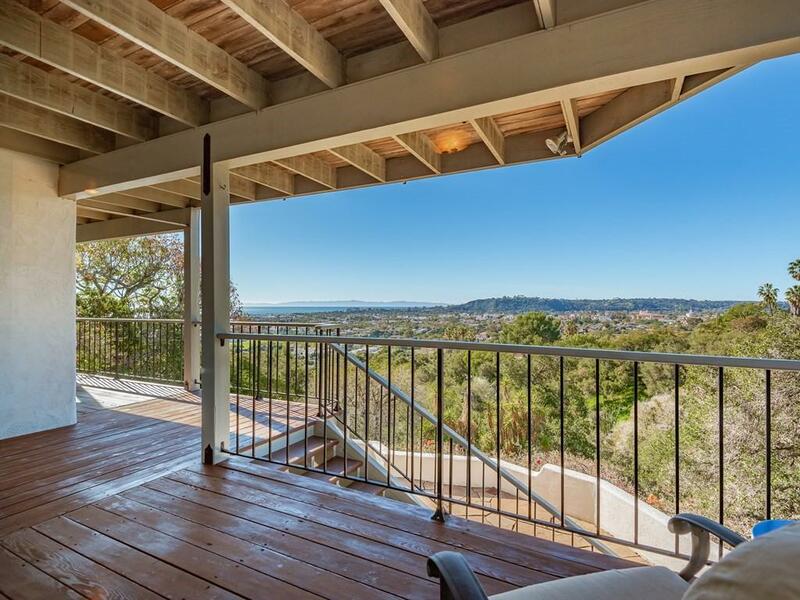 Enjoy iconic views of the ocean, islands, sunsets & Santa Barbara's beautiful cityscape from most rooms of this beautifully remodeled, 2-story, Spanish-style home. 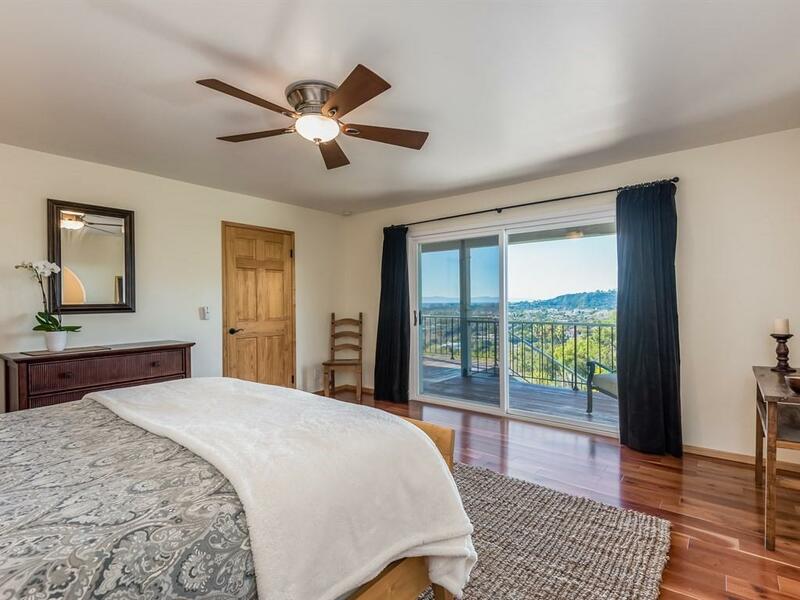 Gleaming cherrywood floors create warmth throughout the house, as western/southern light pours in through sliding doors opening to view decks off the Living & Dining Rooms, Master Suite and a 2nd BR. 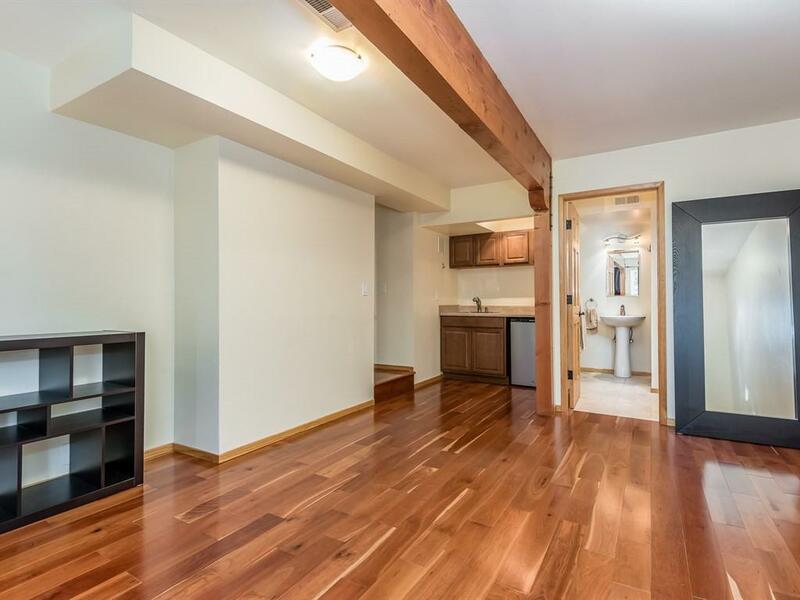 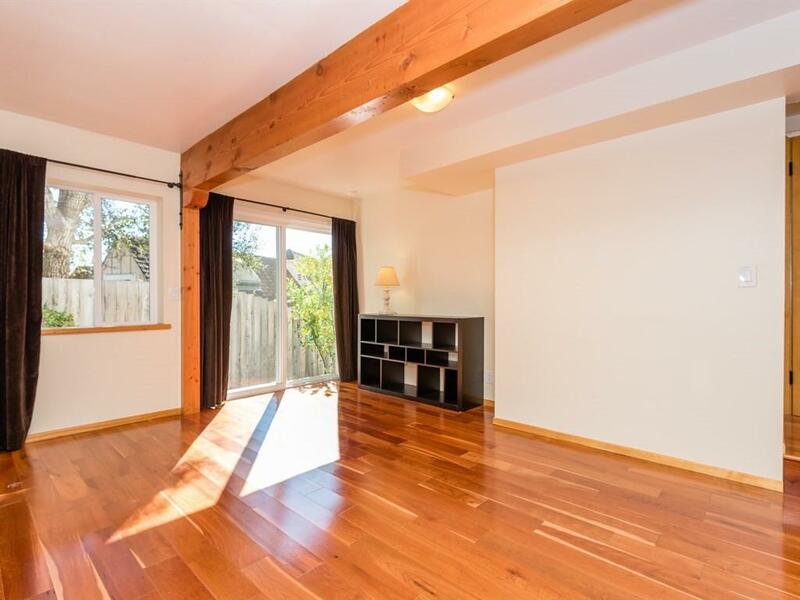 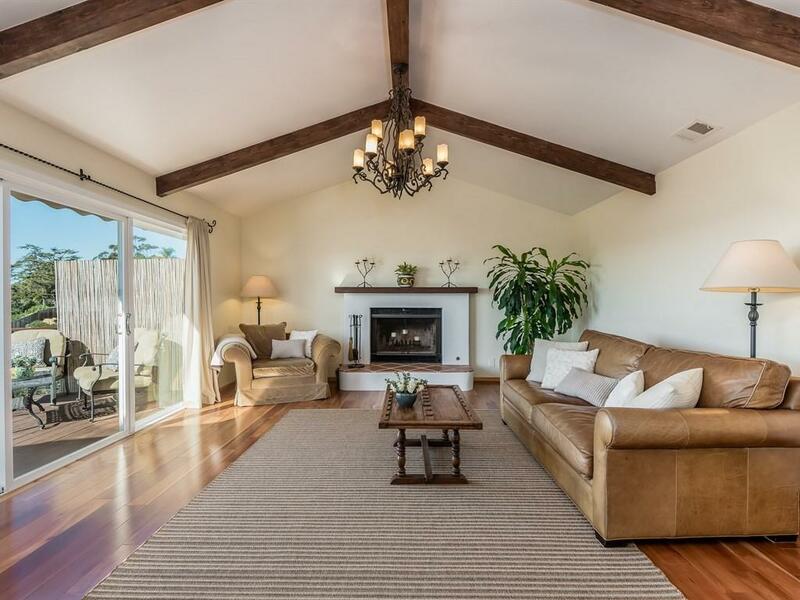 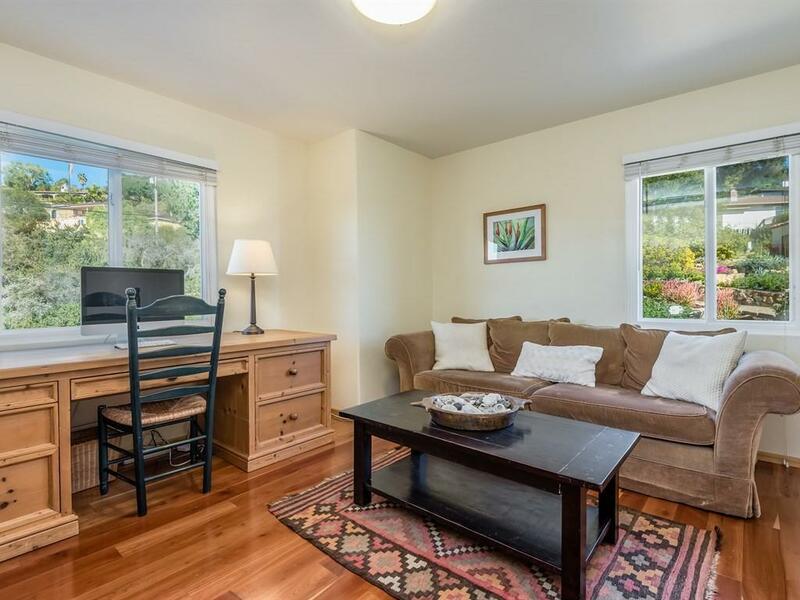 The Living Room features vaulted ceilings w/wood beams, & fireplace. 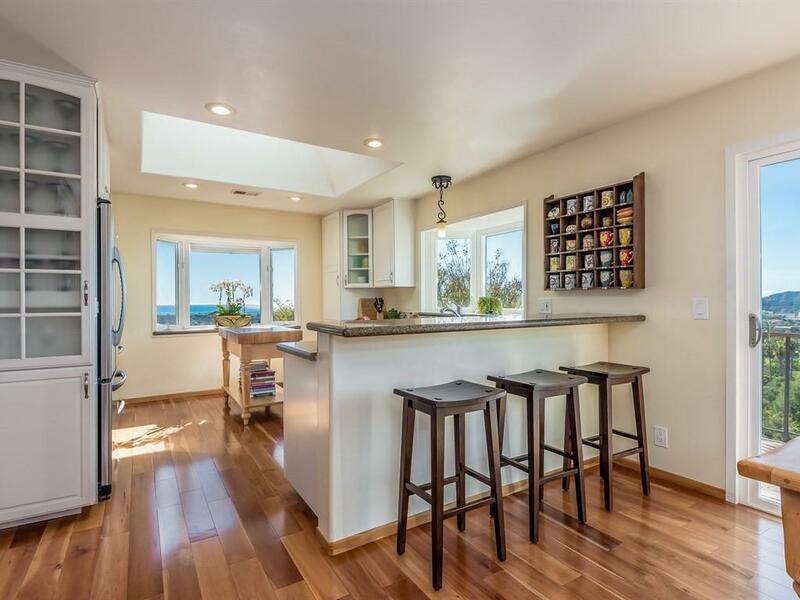 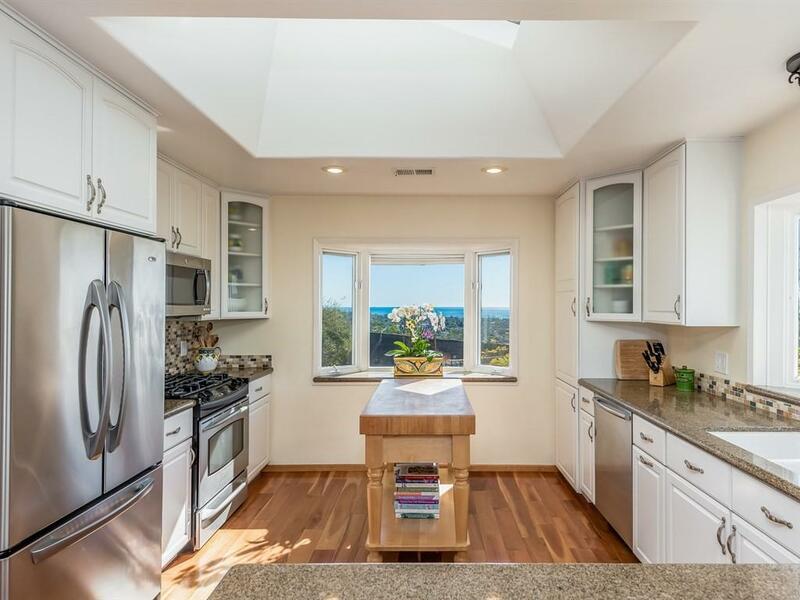 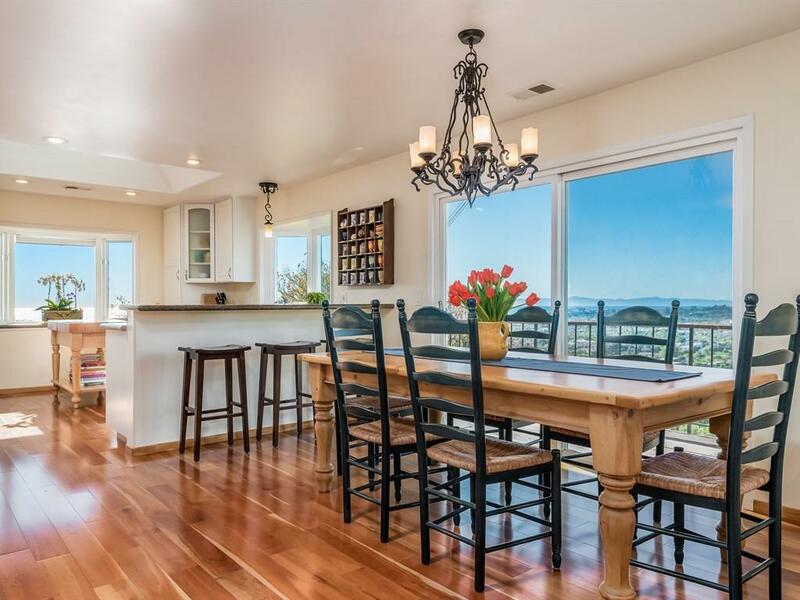 An open Kitchen w/ breakfast bar has stainless appliances, soft-close drawers, 2 bay windows for enjoying the views, and a recessed ceiling w/opening skylight. 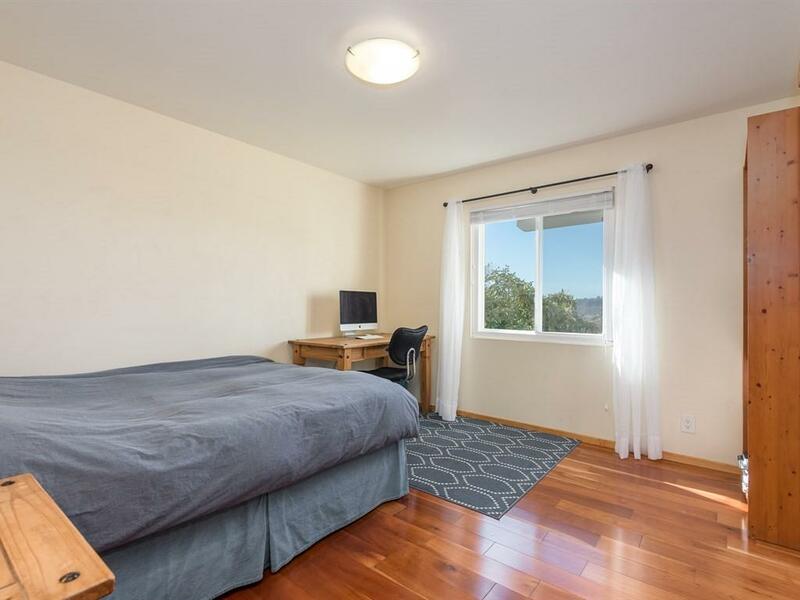 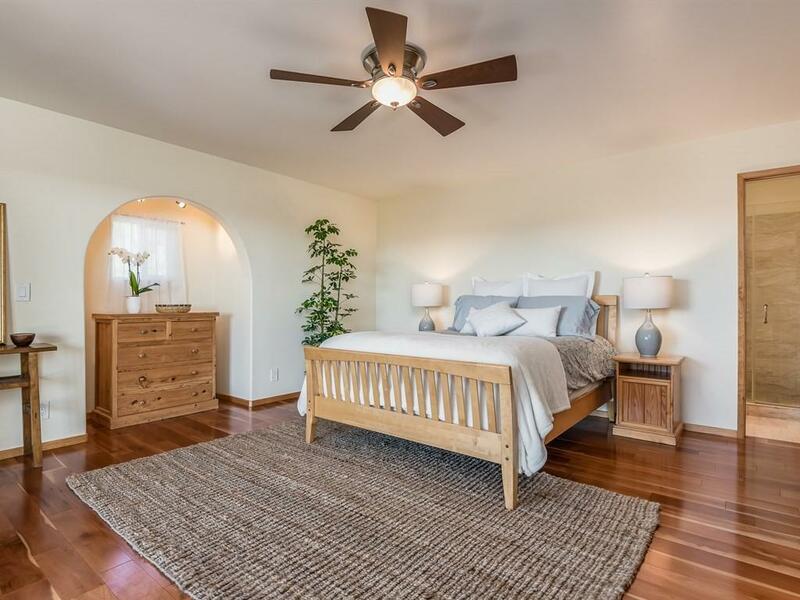 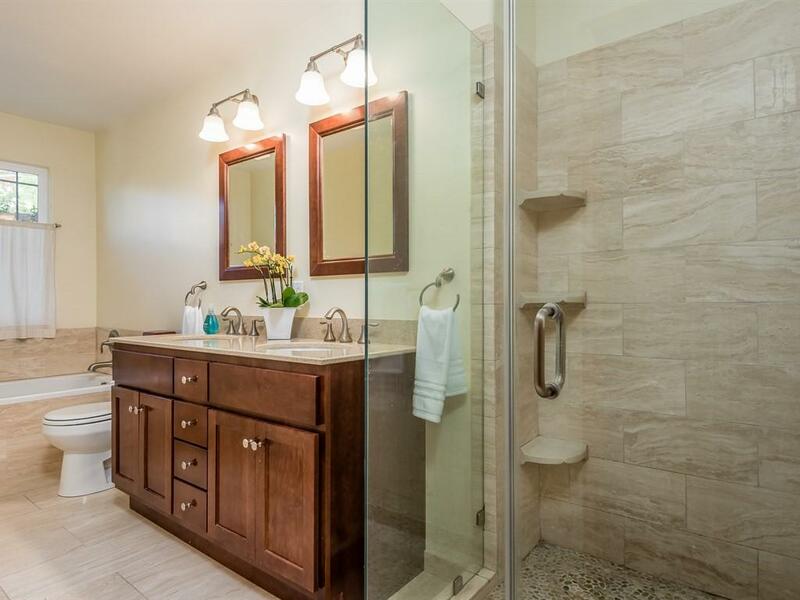 Downstairs are 4 of 5 bedrooms, inc. the Master Suite w/2 walk-in closets. 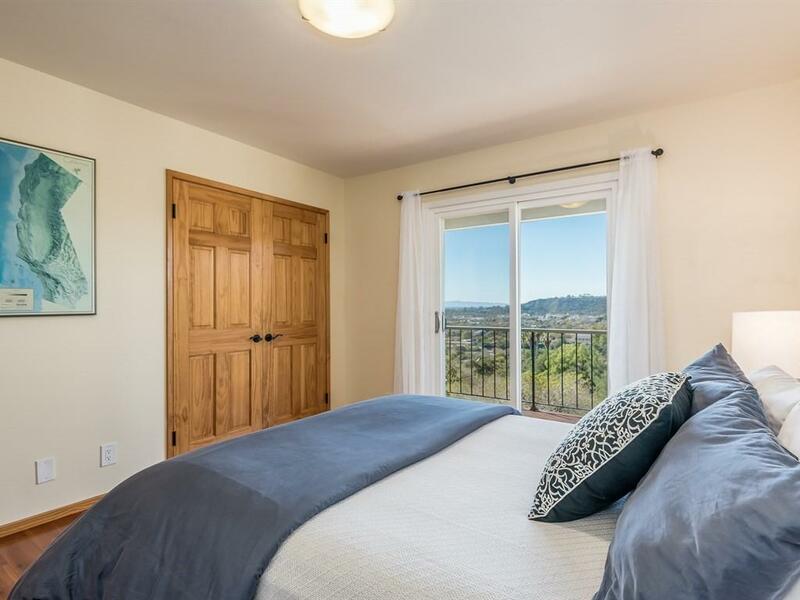 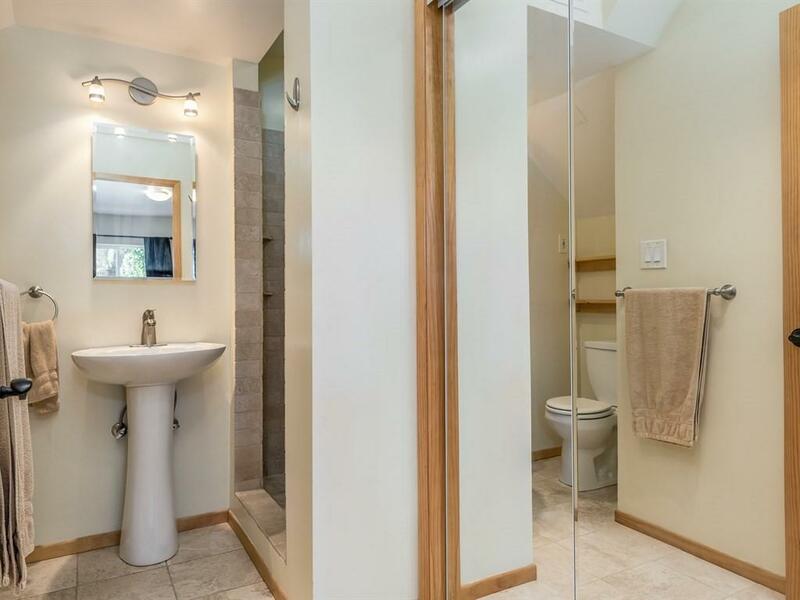 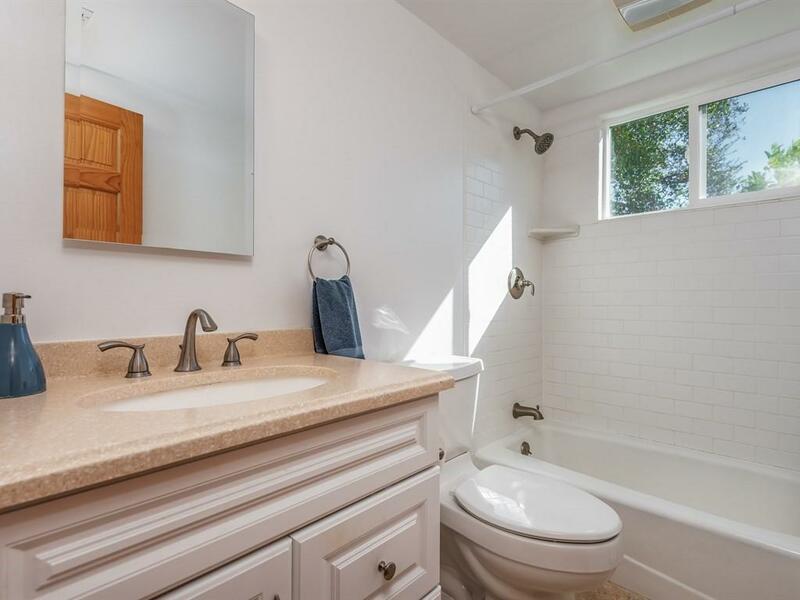 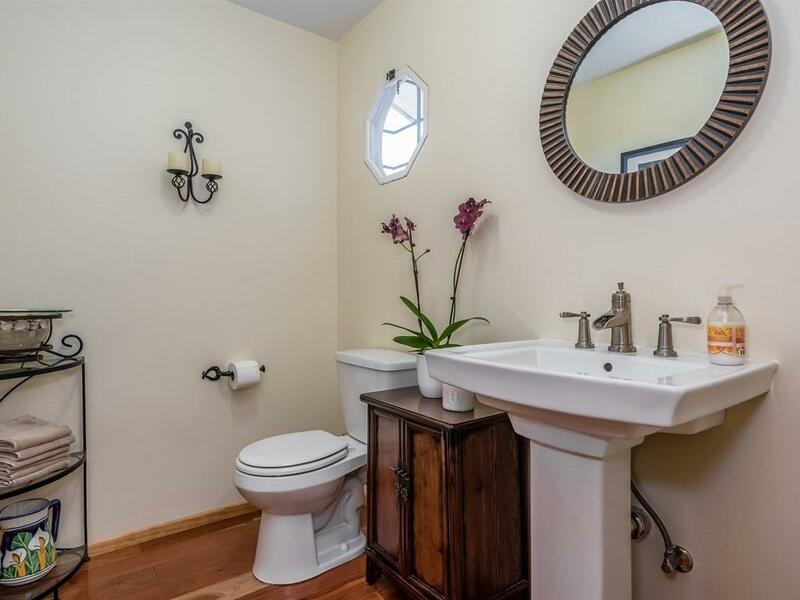 BONUS: The 5th bedroom & 3rd bath have a private entrance, and can be a separate lock-off studio (great for guests or live-ins).